? Watch this video on how to attend this free class.
? Study the archive of our previous classes. This FREE class is held on Discord. Download and install Discord on your device, then join our Discord server to attend this FREE class. Raise a question about the topic of the next session and leave it in the blue comment form at the bottom of the page. Reply to one of the questions developed by your classmates in the same comment form. 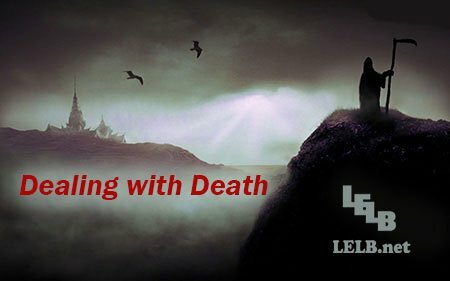 According to the video, what is the best solution to an excessive fear of death? Have you ever practiced the techniques presented by the narrator? What’s your feedback about their effectiveness? Is there any other technique or method that you know in order to help us cope with death? Fear of death could be a motivating factor in life. The early death of her daughter came as a tremendous shock. McMillan and Chavis (1986) consider the following four factors to be the ingredients of establishing a sense of community in online classes: (1) comprising or a sense of belonging, (2) the ability to influence the group, (3) realization of needs through goals that are shared among the learners, and (4) rapport among the learners in the group. Among the above four elements, which one(s) do you consider to be more significant in creating a sense of community in L2 learners? I agree with this statement, because the time of death is in fact the deadline of our whole life so we should try to use our time in order to prevent any sense of regret. There is an old saying which says we can find cure for every thing (or every thing has a cure) except death. So definitely we should do our best in order to know the value of our limited time in life. I agree with this statement because the time of death is (actually) the deadline of our whole life(.) So(,) we should try to use our time in order to prevent any sense of regret. There is an old saying which says we can find cure for (everything) (or (everything) has a cure) except death. (Hence), definitely we should do our best in order to know the value of our limited time in life. I disagree with this idea, because I never remember any times in which I got motivated owing to thinking about death. Although, some believe that thinking about death brings about higher efficiency of life, I myself suppose that the concept of death could put a damper on the human’s hope. Life and death are not two distinct concepts and we experience them at any moment in our life. Attention to this point makes us to be more grateful for each day as a gift that we live. Gratitude is a powerful emotion that fills you up and you want to do best in your life. I thinks so. I can realize a deep sorrow on her face. Her messy hair along with her hands and fingers illustrate she is exhausted although she looks young. The necklace which I guess it is belong to her daughter intensify this sad feeling. 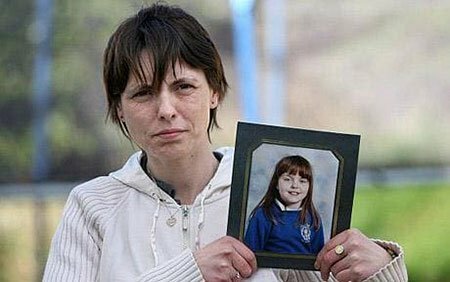 In my perspective , the lady’s face clearly transfer a great grief which she has felt , on the other hand keeping her doughter’s picture in her hand while she has a gloomy glower on her face proves a deep sadness from the bottom of her heart. 3. “If we don’t cry, it means we aren’t sorry about the loss.” What do you think? Is it unusual? 4.what can we do when we’re going through a difficult time? We need to try to be persistent enough because life has its ups and downs. ❌ This question is NOT to the point, and won’t be discussed in the class. 5. How much attention should we pay to our death? 6. Imagine the world without death. How would it be look alike?
? ⚠️ ATTENTION: Please vote for your favorite topic for the next session. If you cannot vote, for any particular reason, you can specify your vote as a comment here. If you don’t vote, I have to impose topics on you, which I don’t really like. Do you think about your death time ? If so , can u you explain why ? ⛔ You are the only student who does not care about putting numbers before questions. 8. How does being rich affect the fear of death? I chose self discipline as our next topic. ✅ Smart choice! Thank you.